Everyone has a different reason to grow in containers and raised beds. Some of us don’t have good soil, others don’t have space, but we do have a deck or balcony or patio, and still others need to stop bending over on the ground and containers allow us to bring the garden up to us. Containers are also easier to weed and tend, and are a good choice for those of us with limited time but who still want to grow delicious vegetables. An excellent choice for those of us with poor soil. I like to fill the bottom with logs or wood chips. They absorb water and help keep the beds damp so that you don’t have them dry out so quickly. Over the years the wood will decompose, providing valuable fertilizer to the roots of our vegetables. The top can be filled with compost and topsoil. 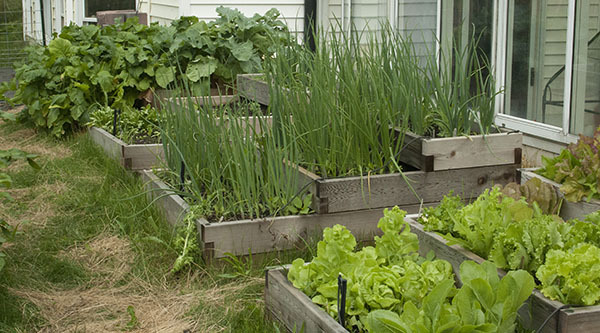 A great way to grow your vegetables in the best possible soil. There are two big problems with container gardening, fertilizer and water. With such a small pot, the plants can quickly use up all the nutrients in the soil. Top dressing with compost, watering with compost teas, and using water soluble organic fertilizers can help with this. The other problem is water. Pots dry out very quickly. If you use a plastic pot, you will want to use pot that has a bottom water reservoir, or you need to water at least once a day and possibly twice a day. I have found that the fabric pots don’t require as vigilant of watering. Once a day is best, but they can go two or three without losing your plants. 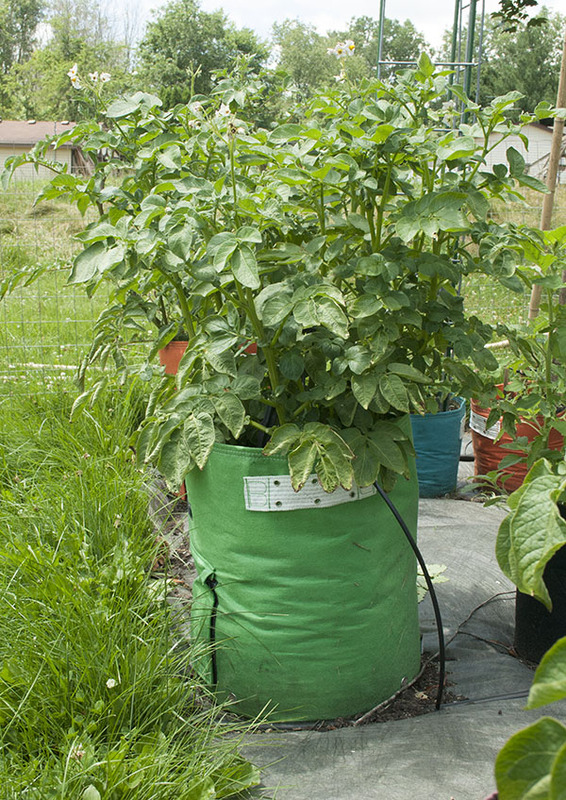 Most vegetables can be grown in pots. You may need a larger pot for larger plants, but even watermelon and melons can be grown in a 5 gallon bucket. But there are some varieties that are well suited for pots and containers. 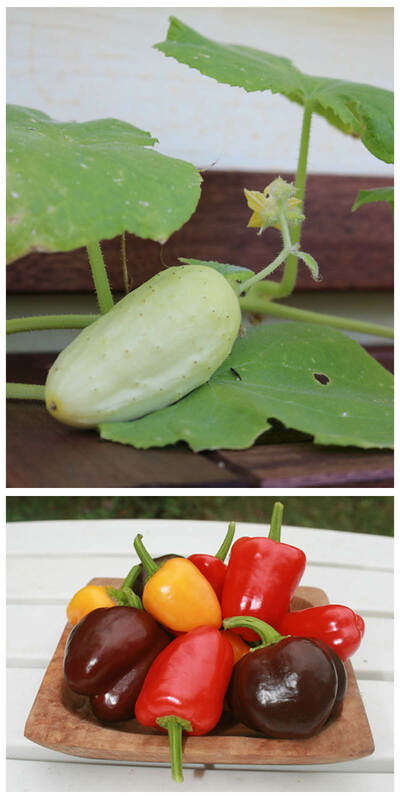 Some are miniature plants with miniature vegetables, and others are just smaller plants with full sized vegetables. So no matter what pot you have, there’s a vegetable that you can grow in it.